If you are looking to have your home cleaned by a professional company, one of the primary factors in your search will be the price of their services. While price is important, it is secondary to getting the right cleaning company for your needs. It does little good to pay a company that does not do good work or lacks other important requirements when better services are available. In finding the best house cleaning prices, you must first make sure that the company you hire can do the job right. A house cleaning company will have trained personnel who bring the equipment, supplies, and their experience in cleaning houses to your home. Most charge package prices for regularly scheduled cleaning, such as once per week, once per month, and so forth. Plus, they offer deep cleaning services for spring cleaning and a one-time cleaning when you move out or into a home or when you host a party or event. The prices, for the most part, is posted so you can make comparisons, but before you do that, there are other factors to consider. The first step should be to consider the recommendations of trusted friends and family that use a professional cleaning service. This offers a good place to start, but keep in mind that getting recommendations is the first step. You still need to do your own research in finding the right company. All professional cleaning companies in the states must be properly licensed and have insurance in case of an accident before considering them. Licensing means that they are properly qualified and recognized by the government to do the work. A company without proper licensing should never be considered. Being insured means that if they cause an accident in your home, their insurance will cover the damages. Otherwise, you might be left holding the bill. In addition to friends and family, you will want to look over the reviews and recommendations from others that have used their services, especially from independent review sites. While even the best cleaning companies will have a few negative reviews, you should look for a pattern in terms of how well they clean, are they on time, do they respond quickly, and so forth. A good example of a company that has mostly positive reviews but still is a well-recommended company is our friends Duty Cleaners who offers Edmonton cleaning services in Canada. This will help you make the best-informed decision about which company to choose for your needs. Last, but not least is the price they charge for their cleaning services. Once you have narrowed down the selection to a few companies, you can then choose the one which offers the best price. Your goal is to select the best company that offers the lowest house cleaning prices that fit your budget. Look for package prices that include a variety of services, so you know which ones will work best for your needs. The good news is that it does not take long to find the right cleaning company that can do an excellent job for your home while staying within budget. One of the worst parts of living in NYC is moving. You can’t bring your furniture on the subway, a cab will never stop, and getting a moving truck near your front door is almost impossible. That’s why many New Yorkers simply buy cheap furniture and get rid of it when they have to move. But what exactly are you supposed to do with it? Unlike in most neighborhoods, you can’t just leave your furniture on the curb for someone to take in New York City. To begin with, it’s illegal for someone to take items left on the curb. Anything you leave out becomes city property, and no one is allowed to touch it even if you leave up a sign saying it’s free. You also can’t just leave your furniture out for trash collection. Bulk items require a special appointment for pickup. They’re free to schedule if you can get an appointment, but getting the right time can be difficult if you don’t want to be without furniture before your moveout date. In addition, your landlord might have something to say about you leaving furniture out. They can set rules on how you bring furniture out of the building and where you can leave it. In many cases, they’ll simply ban leaving things out on the curb. Since they’re the property owner, it’s within their rights to do so unless you managed to have furniture disposal included in your lease. New York City has a wide range of donation options available. This includes big names like Goodwill and The Salvation Army, local churches and charities, and other specialized non-profits. If you don’t already have an organization in mind, you can check out donateNYC for a complete list of organizations that accept donations in the city. Some will come to you, while others won’t help you much because they require you to bring your furniture to them. More on that later. You can also sell your used furniture on websites like Craigslist and Facebook, in traditional classified ads, to consignment shops, or directly to other people. The trouble here isn’t so much where to list your furniture but how hard it will be to actually sell. Most consignment shops and other middlemen won’t come to you unless you have something very valuable. Even then, the pickup costs will reduce what you receive for your furniture. If you go the private route, you could find a steady stream of lowballers, flakes, and just plain crazy people before you find a reasonable buyer. Remember, these are the same people you ride the subway with. In most cases, you’ll be disappointed with how much you got for your furniture especially when you add up the hours it took to sell it all. Why Is No One Willing to Pay for Used Furniture? Remember how you took the ferry down to Ikea or just had everything mailed to you off of Amazon, Overstock, Walmart, or Wayfair? Everyone else had the same idea. 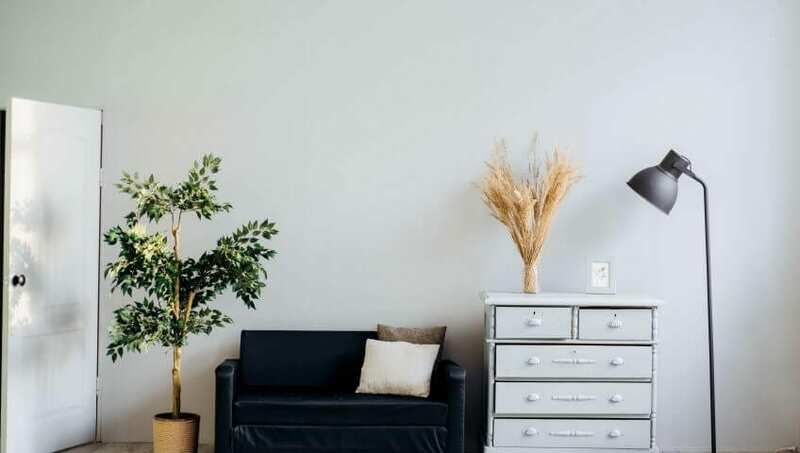 Assemble-it-yourself disposable furniture that comes in a nice little box right to your door is one of the most popular furniture buying options for renters precisely because of how cheap and easy it is. For just a few dollars more than buying used, you get brand new items with delivery included. There’s no hassle of dealing with strangers, trying to lug the furniture back to your apartment, or hoping someone’s Ikea handiwork doesn’t fall apart in the process. This type of furniture is so cheap now that it has almost no resale value. Trying to get rid of furniture that’s a little higher end — maybe something you got from a relative? Nobody wants that, either. Traditional furniture, that’s heavier, more difficult to move, old, and brown, is out. Disposable furniture is in. Sure, some people might want your old, brown furniture but the demand is far less than the supply created by aging generations downsizing and finding out their kids don’t want their stuff. Unless your furniture is a truly high-quality antique or a top of the market piece, you’ll be lucky if you can get even pennies on its original purchase price. Why Don’t Charities Want Your Furniture? Charities don’t want your old furniture, either. In many cases, donations are sold through thrift shops to the same people that you’d be trying to sell to. If your furniture doesn’t sell, the charity has to spend time and money disposing of it. They also have to make enough money to cover the costs of picking it up from you — which is why many charities are now very picky about what furniture they’ll pick up for free. For charities that directly use the furniture, they usually have better options than hoping someone’s old Ikea furniture doesn’t fall apart. This includes bulk buying new, cheap furniture or working with large estate sellers. Simply put, charities are trying to further their own mission not provide you with a free way to dispose of your stuff. Many furniture donations would end up losing their money, so donations to charity don’t work out. Bed bugs are also another big reason why no one wants used furniture anymore. They can be almost impossible to detect within a cushion or pillow, but getting just a few into your home can mean almost literally burning it and all of your clothes and furniture to the ground. This makes it much harder to get rid of soft furniture, like sofas, and hard furniture, like wood tables, already falls into the rule of no one wants old, brown furniture. 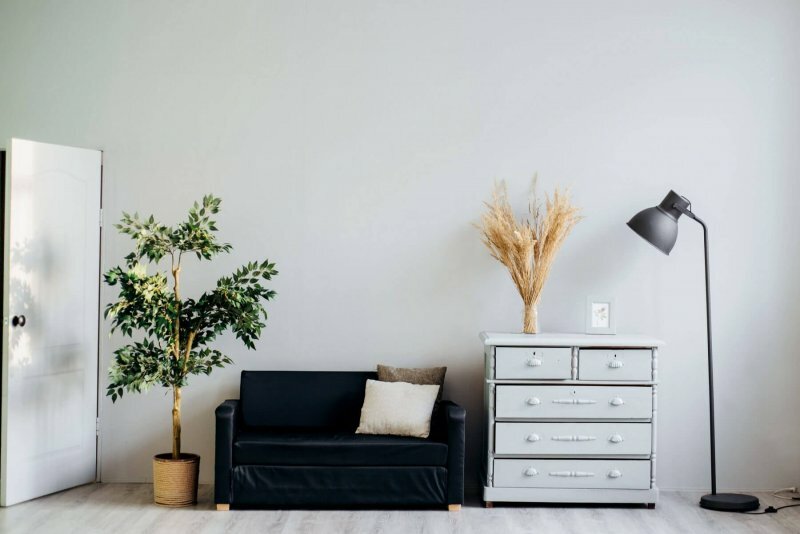 Whether you sell, donate, or give away your furniture, there’s the risk of damage to your apartment or the building’s common areas when someone comes to move it. Even if you didn’t directly cause the damage yourself, you’re still on the hook for it as the person who let them into your building. When you’re dealing with a reputable furniture reseller, junk removal company, or charity, they should have insurance to cover potential damage. You should ask to see proof of insurance, and your building may require you to give management a certificate of insurance before any move or any move out cleaning. If you’re dealing with an individual you met online, you may not have enough contact information to get them to pay up for any damage. Even if you do, it could take a small claims court case before you can get them to pay up. If you do choose to roll the dice and hope nothing happens, you could still end up with a nosy super who is worried about damage trying to put a stop to your move — or ratting you out to management if there’s an “illegal” moving fee in your lease. If you do decide to sell your furniture, here are a few tips that can keep you safe. Try to deal with people you know — coworkers, friends of friends, etc. If you sell to strangers, use a third-party app that verifies the identities of people who sign up. Even if you don’t have their personal information, the police can retrieve it from the app if needed. Using a marketplace that has payment processing, like PayPal or an escrow system, can help alleviate concerns over handling large amounts of cash or getting a bad check. Never meet a stranger alone except in a public place such as a well-trafficked street or lobby. Don’t meet in a quiet side street, a lobby with everyone gone for the day, or your own apartment. Have the right number of people to lift the furniture plus at least one extra to hold doors. Don’t hurt yourself trying to lift too much. If the person taking your furniture is coming to you, have a helper so you can bring the furniture down to their truck rather than them coming up to your apartment. If they need to come up to your apartment, let your doorman or a neighbor know what’s going on ahead of time so they can keep an eye on things and check in on you if you don’t swing by to tell them everything went smoothly. If you’re dealing with a business or charity and aren’t sure if they’re legitimate, you can call 3-1-1 for assistance. You can also call 3-1-1 if you feel you’ve been ripped off or overcharged. When possible, schedule furniture removal after you’ve moved your valuables to your new home. This reduces the risk of theft during the move or if you meet with someone who decides to burglarize you. 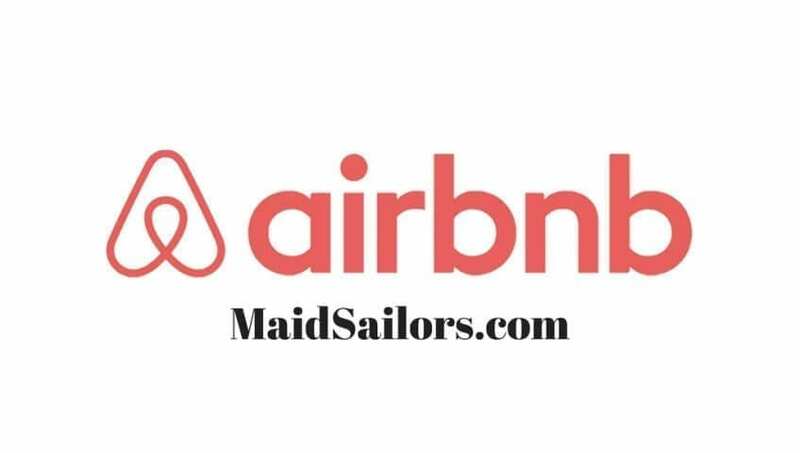 If you need help getting furniture out of your apartment or just getting a final clean to make sure you get your full security deposit back, Maid Sailors is here to help. We provide a full range of home cleaning services by bonded and insured cleaning professionals. Call, text, or chat now for a quote. 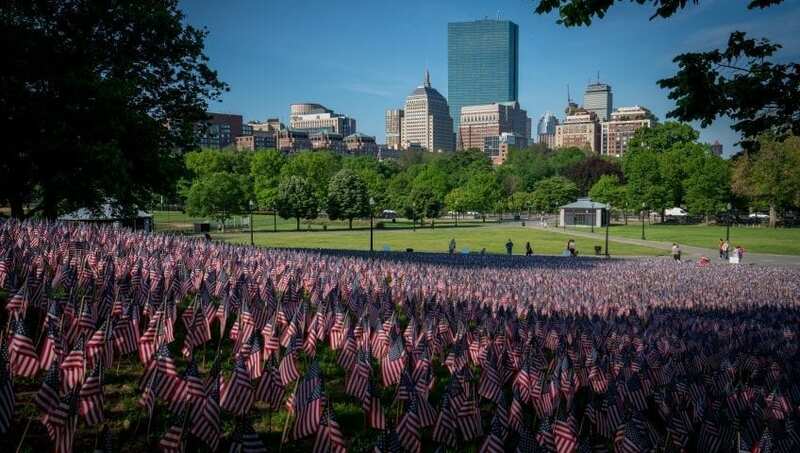 Each year, the city of Boston finds itself swept up in a maelstrom of madness, confusion, and frustration. The pandemonium brought in its wake leads to fits of despair from those caught up in its clutches. Is it a parade? One of those big street festivals that take up space everywhere? No, nothing so peaceful. My friends, we’re referring to the local horror show known as Moving Day in Boston. How did such a thing come to be? Why does the city continue suffering through the effects of Moving Day every single year? Is there no one who can free the city from the grips of this insanity? If you’re one of the chosen, well, many destined to be impacted by the storm, you can mitigate some of the effects by following this handy guide to Moving Day in Boston. What Is Moving Day In Boston? Moving Day in Boston refers to a period, starting around September 1st when the leases on many apartments and other rentals expire. You also have an influx of students coming in after Labor Day and looking to move into a new place to live for the next semester or two around that same period. So you have thousands of people trying to navigate the narrow winding streets of Boston in huge moving trucks. Can Something Be Done About Boston Moving Day? Why not just shift the dates, maybe stagger them in a more year-round fashion? They managed to accomplish similar to this in Montreal, Canada. They had their version of Moving Day on May 1st for many years which caused many of the same headaches currently experienced in Boston. Shifting the date to July 1st, which falls on a national holiday in Canada, made things much more manageable. There are a few reasons why no one’s tried something like this in Boston. The massive number of new and returning students is one of the biggest reasons why it’s not practical to shift the dates to a different period. The current dates align best for families to take time off to bring their kids and set them up for college life. Apartment owners benefit by having spaces available during the influx of students. So there’s no incentive for them to shift lease dates to something that’s potentially less lucrative. It seems that the current version of Moving Day is here to stay, along with the myriad of problems it brings. Did we mention a large number of moving trucks driving around? Getting around Boston traffic on an average day can be challenging. Throwing in lots of large, bulky vehicles driven by unsure drivers looking in vain for parking slots makes getting around nearly impossible. Moving Day also brings people dumping their trash and unwanted furniture along the city streets. Going to your local bakery can feel like being forced to navigate an unauthorized obstacle course. We won’t pretend this guide will solve all your Moving Day-related issues. Accept that your life will be terrible to a certain extent for that period. What we can do is offer advice on making it less awful and possibly getting through it without turning on the friends who did end up showing up to help you throughout the day. Those who aren’t moving will also find ways to get through this period with less frustration. Accomplishing specific tasks ahead of time can make Moving Day easier to manage. The worst thing you can do is wait until the last minute to prepare. Doing that guarantees being hit with the full force of the worst Moving Day has to offer. Spare yourself a little pain and try doing these things at least a few weeks before your move-in date. Make sure you have money available to pay any fees or moving costs. You’ll need to pay for the rental of your truck, or else risk losing out on your reservation. If you’re hiring a moving company, they’ll expect to be paid as well. Try budgeting out more than you think you’ll need to spend for that day. Doing so helps you avoid getting caught short at a critical moment during the move. The longer you wait, the harder it will be to get a truck to assist in your move. Getting a head start allows you to compare quotes from different companies and pick the best one, not just the best of what’s left. If you are booking early, check to see if the company’s contract guarantees your truck will be available on Moving Day. Don’t count on showing up at a truck rental company the day of without a booking and getting the size van you need. Whatever’s left — IF there’s anything left — will likely not be large enough to handle all your things. That means extra trips you’ll have to make attempting to navigate Boston traffic on moving day. Your things could also end up being pretty banged up from being crammed into too small of a space. If you do end up with no truck, your next best option is looking for a one-way rental from a different area. You can move your things, and then drop the truck off at the nearest rental location for that company. One of the best things you can do is have your items packed, organized and ready before moving day. That means putting everything into properly labeled boxes with the right packing material inside. Remember, even the best movers can occasionally stumble as they’re taking your things up a flight of stairs. If you’re going to rely on friends to help you move, it’s a good idea to put enough padding inside boxes to protect anything delicate. Make sure you put a label on indicating “Fragile” to prevent it from being handled roughly. Having your things ready to go allows your movers (or friends) to load items inside of moving trucks at a faster pace. Finding a parking spot for a regular-sized car in Boston is difficult on a normal day. Imagine trying to find one on Moving Day for your truck along with everyone else. One way to avoid the madness is paying for a reserved parking spot near where you’re moving. It’s going to cost you at least $100.00, but you’ll have a spot waiting for you and avoid accumulating parking tickets. Think of the gas you’ll save not having to drive around the block multiple times as you wait for a spot to open. You can apply for a permit no sooner than one month before your moving date. 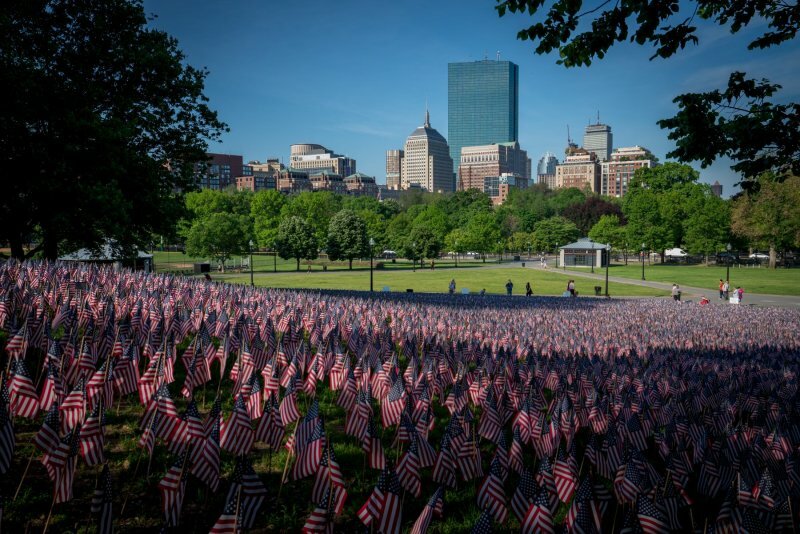 Some areas of Boston require you to apply in person, so check to see what the requirements are for the part of town where you’ll be living. If you’re moving to a different apartment that you’re sprucing up with nicer things, you need to plan out what’s going to happen to your old items. You can schedule a pickup of items like an old couch through the city of Boston’s public works. That’s better than leaving your old things out on the curb, much to the disgust of current residents. The last thing you’re going to want to once you arrive at your new apartment is clean from top to bottom. Sure, you can HOPE that the apartment owner made an effort to tidy up, but it’s not going to be the deep clean you want for the place you’ll be residing in for the next year. Do you think you’ll feel like cleaning up a mop after dealing with the chaos of Moving Day? 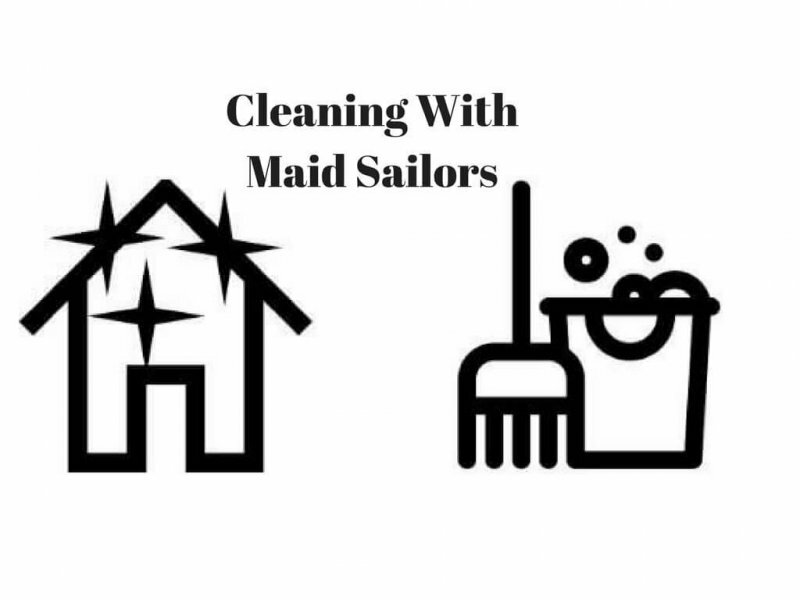 Spare yourself and spring for a Boston cleaning company like Maid Sailors to come in and clean for you. It only takes 60 seconds to make a booking online. They bring cleaning supplies, are bonded and insured, and only hire certified professional cleaners. You can get some much-needed rest at the end of the day and leave the dirt and grime to the professionals. The chaos of your move might not leave you in the frame of mind to clean the space you’re leaving behind. Hiring a cleaning service for that task leaves one less thing on your plate. The impact of Moving Day isn’t limited to the movers. Non-movers staying put still have to deal with the fallout. Here are a few ways you can make things a little more manageable during this period. You’re going to have a lot of drivers navigating the streets of Boston in a large vehicle they may not fully know how to operate. Why leave your car there as the potential collateral damage of their “learning curve?” Find a place you can safely leave your vehicle until the madness ends. Many popular Boston neighborhoods become an absolute nightmare to move around in during Moving Day. Renthop, an apartment hunting site, collects data centered around the most densely populated Boston areas during this period. You can use them to figure out how to navigate around the city and avoid the worst of the chaos. One good thing about Moving Day in Boston is that it eventually comes to an end. You’re moved in, and hopefully fully immersed in your Boston apartment and used to the normal flow of traffic when getting around the city. We hope our guide made managing the day a little easier. If you decided to spring for a Boston cleaning company earlier, you might miss the feeling of having to do absolutely nothing to get such a clean apartment. Why not continue enjoying one of the few things about Boston Moving Day by scheduling regular cleanings? 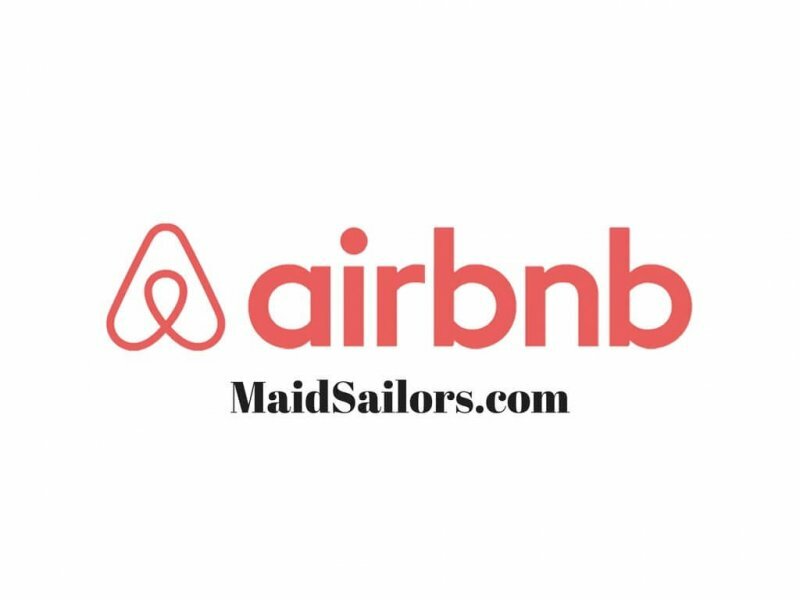 You can call Maid Sailors at (212) 299-5170 or visit their site online to find packages that fit your apartment and budget. Enjoy your space and the peace of knowing that Moving Day is officially over. Until next year. Are you an active person? Do you spend countless dollars on activewear each year? I mean you have to look good while you’re working out. Am I right? If this is you, you may have found that your traditional detergent just isn’t doing the job. It’s just not getting the sweat smell out of your clothes. A lot of people use Tide liquid or powder laundry detergent. And that’s all fine and dandy. 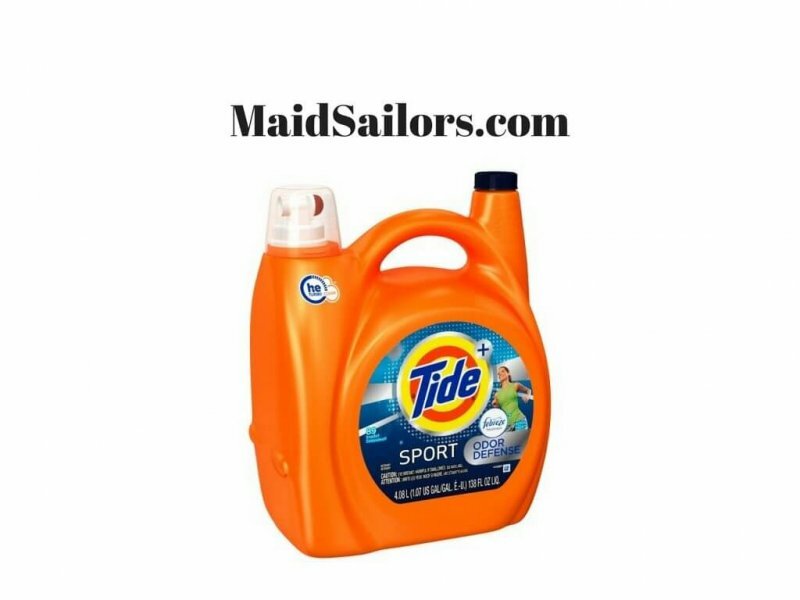 One of the good thing about the Tide brand is that they have several products on their line to help you wash different garments. Today we are going to be talking about one of those products, Tide Plus Febreze Sport. Since you probably spend good money on your activewear, you’ll want to take extra good care of them. Today’s sportswear is made from high-tech moisture-wicking fibers to make us feel more comfortable while being active. However, these fibers tend to hold on extra tight to odor-causing bacteria. If washed and dried the wrong way these fibers will lose their advantages and you’ll ultimately end up with a smelly resistant garment. As you may have noticed an entire laundry detergent category has now been dedicated to sportswear on behalf of these high-tech fibers. But what you really need to know is which one works the best, right? That’s where we come in. Maid Sailors has done the research yet again. We’ve tested and lined up the right product we think you should be using in order to succeed in your cleaning tasks. Tide Plus Febreze Sport laundry detergent comes fully equipped with the necessary enzymes to break down and remove surface odors and stains with an active fresh scent. It’s specifically designed to fight tough sports odors and stains, like sweat, grass, and even dirt. You can even switch out your regular laundry detergent for the sport defense as it is safe and recommended to use on regular clothing as well. If you are a person who sweats a lot, this is the laundry detergent you want to use in order to remove stains and odor from fabrics. Pro Tip: Refrain from using a fabric softener when washing activewear. Fabric softener will break down the high-tech moisture-wicking fibers causing them to stop doing their job and collecting odor-causing bacteria that can harbor in the fabric. You shouldn’t need a scent booster with Tide Plus Febreze Sport anyways. But you can, however, add in one of Tide’s bright and white rescue laundry pacs in-wash detergent boosters for an extra added scent. 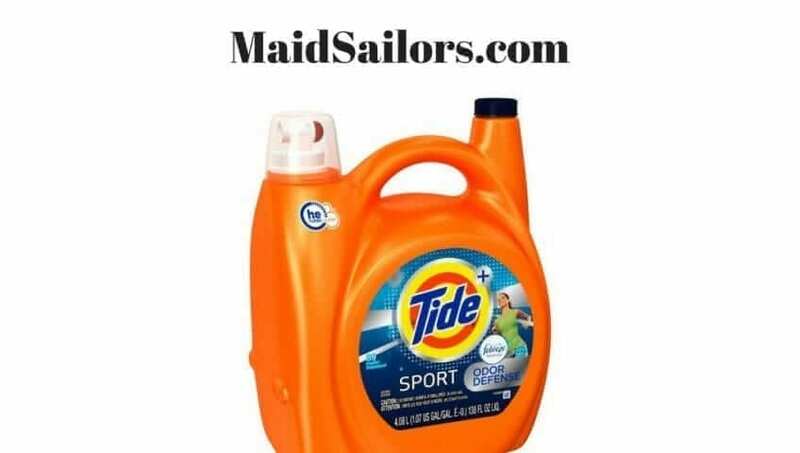 Which sport brand laundry detergent do you use? How does it work for you? And what are your thoughts on Tide sport detergent? Tell us below! Clothing can be a big financial investment. Especially if you have a family. That’s why it’s important to get the most out of your clothing by taking good care of them. One good practice in taking care of your clothing is to know what type of fabric your garments are made of. Knowing this will help you to decipher the difference between washing your clothes at home and taking them to the dry cleaners. Now all of your clothes will need to be taken to the dry cleaners. Typically the more expensive the fabric the more chance it has of needing dry cleaned. But most of your clothes can be thrown in the washing machine. The cost of dry cleaning can add up quickly. So it’s crucial that you get the best service possible. 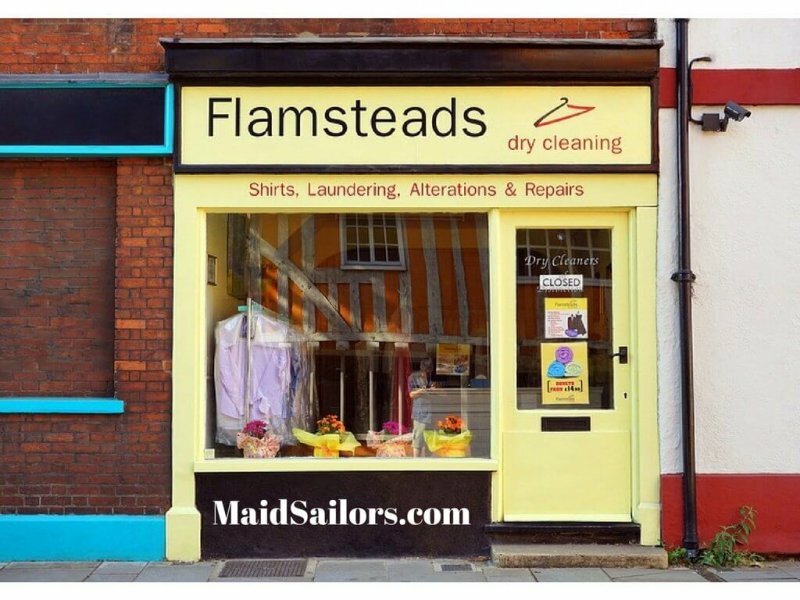 But how do you get the best dry cleaning service possible? By following the tips below to help you get the most for your money. If you come across a local dry cleaner that’s family-owned and operated be sure to check out their reviews. Not all family-owned and operated dry cleaners know what they’re doing. 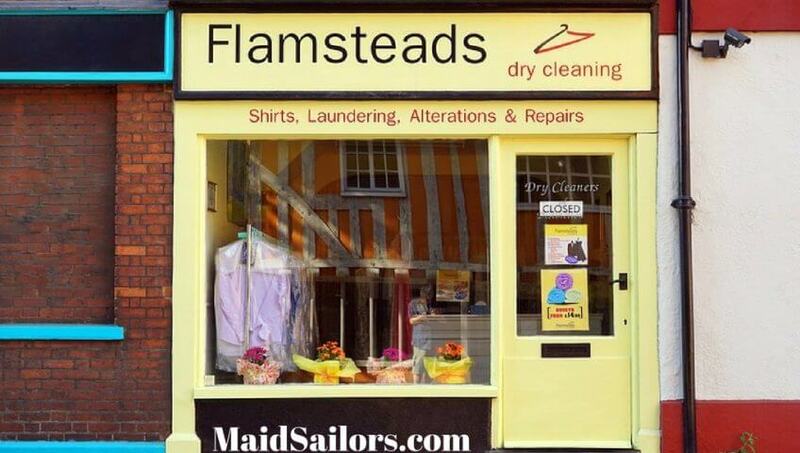 In fact, most of them have no real dry cleaning experience whatsoever. Of course, some of them do. But for your benefit, it’s best to find a chain of dry cleaners with good customer reviews to take your clothes to. As soon as you come across a stain on your clothing that needs to be taken to the dry cleaners, take it to the dry cleaners. You don’t want to wait. Waiting to take your clothes in will give the stain more time to set into the fabric making it harder to lift. Don’t drive around with the clothing in your backseat for a few days until you have time to take them in either. The sunlight and heat inside a closed car can push stains further into the fabric, weaken the fabric fibers, cause odor, and allow your clothes to begin fading. Apply the same principal to leaving them in a clothes basket in your laundry room. Don’t wait to take them in. Overall dry cleaning is a process that uses chemicals to remove general grim and odor from certain fabrics. What may work for one stain and fabric may not work on another. It’s crucial that you point out all of the stains on the garment when you arrive. Don’t just assume that they will find the stains and know exactly what caused the stain. If your dry cleaner doesn’t know what caused the stain they may not know what to use to take it out. So giving them a heads-up will help them to do a better job and help you to receive a better service. A lot of expensive clothing or garments with buttons and zippers come with an extra set of embellishments. They do this in case a button falls off or the color starts to fade and tarnish. Then you have a backup. Most of the time these extra decorative pieces come in a small bag and get throw in one of your drawers. Before taking the piece of clothing to your dry cleaner go in that drawer and dig out that extra piece. Some dry cleaners will remove buttons or decorative pieces that are delicate and about to break off. Take them with you in case they are able to swap them out for you. Even if you just got off work and you are in a hurry to get home you should always check your clothing before leaving the store. This way you are checking them in front of your dry cleaner to ensure the stains are actually gone. If the stain is still there, ask them to try again. They will usually do so without any hassle. Think about it the same way you would when you go to order food. You always want to check your food when you get it to make sure it’s what you paid for. You wouldn’t eat something you didn’t order right? The same goes for a service that is provided to you. Have you ever thought about giving cleaning supplies as a gift? Maybe you’ve thought about making a cleaning basket with all your favorites. Or maybe you just had one thing in mind. Maybe you didn’t even think about it until you came across this post. Whatever the circumstances might be, we’re here to tell you that cleaning supplies make a great gift. And they do so for several reasons. Honest Company gift cards make a great personal or white elephant gift. These aren’t a baby shower or bridal shower prize type of gift. Because let’s face it, gift cards can add up fast. But if you’re looking for something new or different to get someone, maybe someone that just had a baby, this is it. The Honest Company has a huge variety of products to help any new mom. 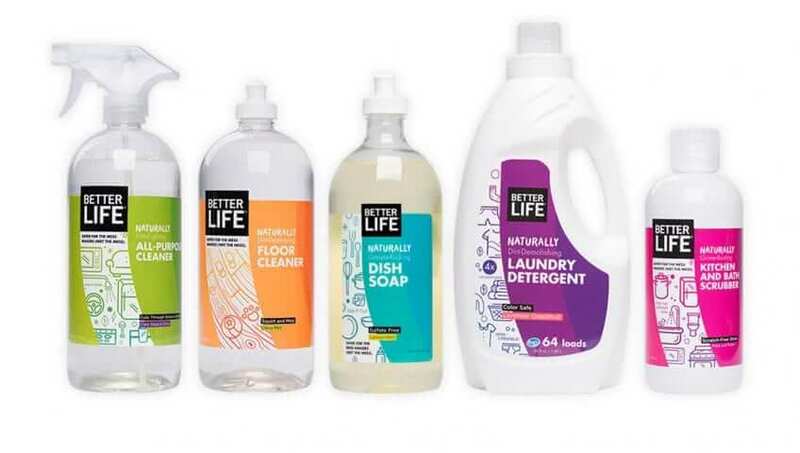 Their products range from diapers, feeding, and cleaning, all the way to personal care and vitamins. Instead of picking the product out for them just get them a gift card! They’ll be super glad you did! We’ve previously talked about the Scrub Daddy and the Scrub Daisy in this post. And with good reason. This product makes a great housewarming gift. It’s fun, colorful, and it’s worth every penny. The Scrub Daddy is the original product from the company. It’s a dish sponge shaped like a smiley face with a fresh lemon scent. Who doesn’t love a smiley face? Anyways, it’s one of the best sponges on the market. And it makes a great stocking stuffer! Now the Scrub Daisy is a dish wand. It’s a dish wand that’s shaped to look like a daisy and equipped with a decorative stem handle which makes it perfect for any kitchen. The wand has three interchangeable heads for multi-purpose use. This is another great housewarming gift or it could even be a birthday present. The hottest thing in the cleaning category right now is microfiber cloths. Most people are making the switch from paper towel to cleaning rags. Why? Because they work better and don’t create as much paper waste. Which is a pretty good reason if you ask me. But when should you give someone a pack of microfiber rags? When is an appropriate time to give this as a gift? Well anytime really. You could make them a white elephant gift, a birthday gift, or a Christmas gift. And if you really want them to like it, find out their favorite color. I promise you, they’ll love it! And it’s the thought that counts! 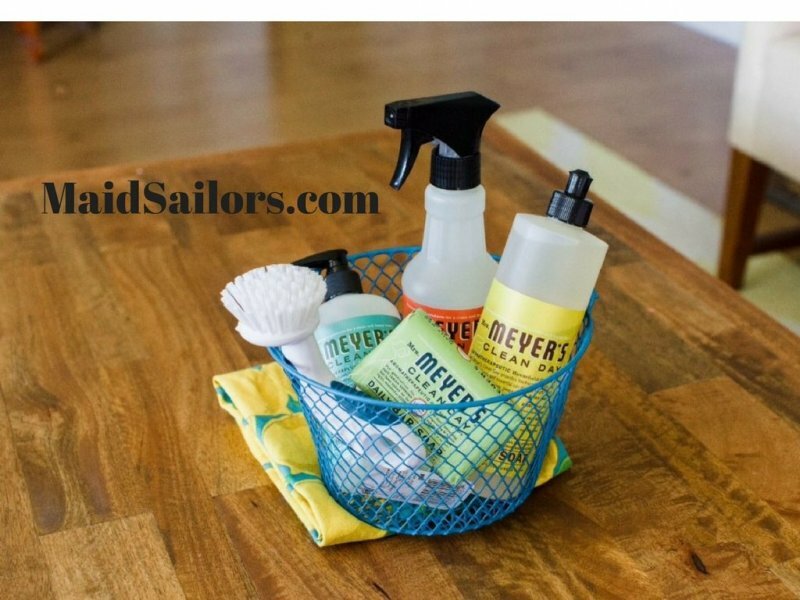 For those of you who know us here at Maid Sailors you know, we love Mrs. Meyer’s products. 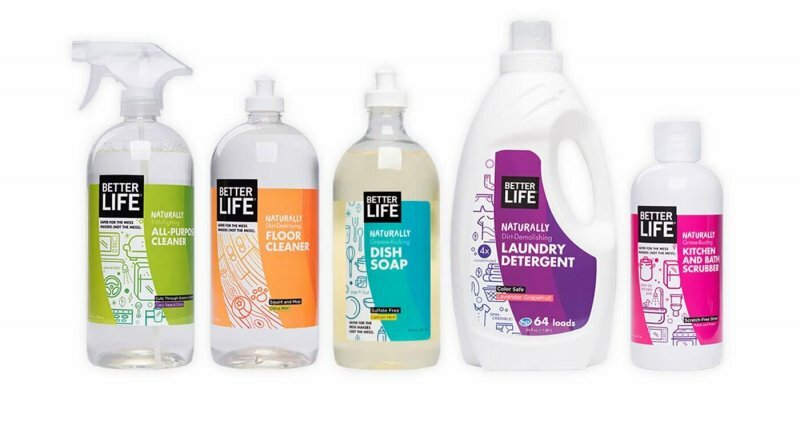 Their products are more than just cleaning supplies, they’re lifestyle supplies. And that’s why they make such a great gift. With Mrs. Meyer’s products, you can make a gift basket, buy one of their gift baskets, or give a singular product as a gift. They’re products range from hand soap to multi-surface cleaner. And one of the best things about it is that they are all natural products. So you aren’t giving someone any harmful chemicals to ingest or clean with. The company also makes candles. Their candles along with their hand soap make a wonderful baby or bridal shower prize. And their gift baskets make the perfect white elephant gift for under $15. With that price, you’re both winning. Clorox disinfectant wipes make a great white elephant gift for your office party. Offices are a typical germ-filled place. It’s where people from all different backgrounds and homes come together. You never know what kind of bacteria could be found on an office desk. That’s why nine times out of ten you’ll walk into an office and see several people with disinfectant wipes at their desk. Do them a favor, save them a trip to the store. Another gift everyone in the office can use is a pack of microfiber rags. Let’s face it, these days green cleaning is in and paper waste is out. Help your office save time and money by gifting them a pack of cleaning rags. If you want to get really creative you can get a pack with a variety of colors and color code them. You can do this several ways. Either by room, task, or cubical. Whatever is easiest for you. Pro Tip: If your office works with a cleaning company chances are they use these rags too. This means that you can ask them to pick up your dirty rags, wash them, and return them. If they are able to accommodate this for you consider making a separate bin for your rags. That way you will know when they get taken and when they return. You probably pay quite a bit of money for your posh New York City pad. And who has time for all that cleaning when you are busy pursuing your career and paying the bills? Deposits are steep in NYC, and whether you are looking at cleaning to get your deposit back or routine apartment cleaning on a weekly, bi-weekly or monthly basis, there is an easier way to get the job done. NYC apartment cleaning services can handle requests from private renters or owners. They can also handle commercial cleaning requests for large-scale projects. We know that allowing someone into your apartment or a cleaning crew into several apartments requires a certain level of trust. When you hire a cleaning service, who knows what people are going to be coming out to do the cleaning. This is something you need to be thinking about when interviewing apartment cleaning services to decide which one to use. What is the screening process they use? Do they perform background checks on all employees? Are you going to be able to meet with the cleaner prior? If this is a job that will be done on a regular basis, you are also going to want to know if it will be the same people doing the cleaning every time. These are all things to take into consideration when looking for a cleaning service. With larger companies, you might not be guaranteed that the same people would be sent out for the job every time you need the cleaning done. Developing a schedule for the cleaning company would help make this possible. But it’s ultimately going to be up to how the NYC apartment cleaning services company operates as to whether or not you’ll get the same cleaning professionals every time. Make a request. After doing your research and finding the right company to hire then you can pick a cleaning that is suitable for you. Typically there are several options to choose from. Depending on the company you choose to work with, they should be able to customize a cleaning package to fit your needs. Move out cleaning requires a particular type of checklist that all professional apartment cleaners should be familiar with. Call it spring cleaning if you will because everything must be spotless in order to get the deposit back. Each company will have their own approach. So it is up to you to communicate exactly what needs to be done. Every apartment is set up differently. And each individual has their own personal wants and needs. What do you use to clean the floors? Do you need all of your individual nicknacks dusted? Not only do you want to state your demands, but you also want to know which of the services you prefer are going to cost you extra. Some companies will charge extra for certain cleaning services while others will have them included in their price quotes. Are you going to be responsible for keeping cleaning supplies on hand? While this may seem like a hassle and an extra expense you do not want, people often want things cleaned a particular way. The cleaning company is going to have all the cleaning supplies, but they can use cleaning supplies you provide. Maybe you do not like the idea of any of your furniture being cleaned using any polish. Maybe you want your floors cleaned with a certain floor care solution. Consider the scope of the cleaning job they are going to provide. And consider what parts of your apartment you demand to be cleaned a certain way. If the cleaning company is not willing to comply, there is another out there that will. As an apartment or condominium owner, you are going to want to keep certain cleaning products on you. For example a magic eraser around for walls, doors, and baseboards. Knowing what your house cleaner is using to clean with helps give you peace of mind when allowing them into your home. You know they’re there to do a job and with the right products you know they’ll do it right. Are there any pets in your apartment? Not only do you need to disclose this information for safety and security reasons, but also for your cleaners sake. Some people do not like pets, are scared of them, or they could even be allergic. Whether or not you have any types of pets needs to be fully disclosed when talking about an NYC apartment cleaning service about a contract. Some people like to be home when a cleaning service is there and some people do not. When hiring a cleaning company it’s important to note that you will not always have a concrete time of arrival. There will be a ‘window of time’ provided on most occasions. This can, of course, keep you in your apartment waiting. And that’s why it’s important to establish trust with the cleaning service you hire. If you have to step out for a little bit, you can do so with ease knowing that you’re coming home to a clean apartment. And that all of your belongings are still there. When unfamiliar with the cleaning companies available in New York City start by asking around and googling reviews. People in your apartment complex might have used a cleaning service before, or perhaps your landlord has a good referral waiting for you. And yelp is always a good place to look for reviews for any company. Airbnb – Hire a Cleaner or DIY? Should you hire a cleaner or DIY? The ultimate question for Airbnb rental host around the globe. Should you hire a cleaning service or clean your Airbnb yourself? Forget about managing bookings, connecting with guests, and marketing – caring for an Airbnb rental is a full-time job all on its own. When it comes to caring for your rental, you have one of two options. You can clean the vacation rental yourself or you can hire someone to do it for you. Of course, there are some obvious differences so today we are going to talk about them. Cleaning your Airbnb by yourself is a way for you to ensure that everything is done perfectly to your liking. As perfect as perfect can get anyways. It’s a way for you to take control over the situation which also helps you take control over your overall guest experience. It also helps you save money. By cleaning your rental by yourself you don’t have to dip into your earrings in order to provide a good customer experience. The more you clean, the more you save. Now, that’s a motto to live by. But just because you clean your rental doesn’t mean you should skip out on occasional deep cleanings from a cleaning company. So although you may clean on a regular basis it’s crucial that you allow a cleaning service to come in monthly or bi-monthly to do a deep cleaning on your rental space. Hiring a cleaning service allows you to devote more time to focus on your rental business. With this option you are able to automate your cleanings weekly, daily, monthly, or after each guest departs. Automated cleaning services provide you with an easy to use online platform so that you can schedule cleanings, read and leave notes for your cleaner, check inventory, and more. Aside from automated services, hiring a cleaning company provides you with the freedom to focus on other priorities. While they’re taking care of your rental, you can be running errands, paying bills, or enjoying that free time you never get. This option is best for people looking to delegate some of their daily and weekly chores. It’s also super convenient for those who simply don’t have the time. You can also save money by hiring a cleaning service. Now you’re probably thinking, you said I could save money by not hiring a cleaning service. And you would be right, I did say that. You can save money both ways. If you run a busy rental service on Airbnb hiring a company that has all the cleaning supplies and inventory will save you from having to stock up on those things a la carte. So as you can see caring for your rental has options. The question is, what’s the best option for you? Would you prefer to clean it yourself or hire a professional? When’s the last time you actually read a cleaning product label? Did you know it was important to read the label on chemicals that you use? Today we’re going to take a look at 4 of the most important sections on the label. Most, if not all labels on cleaning products have a caution section. This section could be under the warning or it could be a section all to itself. Either way, you want to know what the possible cautions are in regards to the chemicals that you’re using. Why is this section is important? If you have any health conditions or complications it’s important to know the possible effects a cleaning chemical can have. Some chemicals should only be used in a well-ventilated area because they can cause respiratory issues or allergies. If you aren’t sure whether a certain product has potential caution check this section of the label. Every good label has directions. But while most cleaning products are self-explanatory the directions on the label often provide you with a more detailed description of how to use that product. Many directions or instructions will tell you what kind of surfaces you can or can’t when using the product, how long the process should take, and anything else you should know about the product you’re using. Although all of these sections are important components of the product label, the directions are the second most important. Directions provide you with a method that helps you get the most effective result for the product you’re using. The ingredient section of the label can get a little tricky. Most of the ingredients found on a label will be listed using their actual name versus the common name we’ve provided the ingredient with. And this can be confusing for consumers. Though we use cleaning chemicals avidly in our daily lives, chemicals can be dangerous. And mixing chemicals can be even more dangerous. Every label, as required by law, has ingredients on it. If for some reason you cannot find the ingredient list on the label you can search for the product on the MDSD (Material Safety Data Sheet) website. Aside from the dangers of mixing chemicals, they can cause an array of health complications if you use a chemical without knowing what’s inside. You may be allergic to or have an allergic reaction to a certain ingredient. Or the ingredient could cause severe damage to the skin. That’s why it’s always important for you to know what’s inside the products you’re using. Storage is one of the least common sections you’ll find on a cleaning product label. But the section does exist. This section of the label tells you how and where to store your product as well as why it’s recommended that you store it that way. Almost all of the cleaning products on the market say keep out of reach from children. And while that’s an important component to storage it’s not the only important aspect of this section. If the product you’re using is a dry chemical and the label says it should be stored in a dry area chances are that’s due to a chemical reaction that will happen if the chemical is stored improperly. Loving the new era of monthly subscription boxes? You’re going to love this. The monthly subscription box I want to share with you today, like all of the others, is delivered right to your door each month. It’s easy, convenient, and it won’t break your bank account. But what really sets this box apart from the rest is that it’s filled with all of your household needs unlike most monthly subscription boxes are filled with collectibles, expensive makeup, or sugar-filled snacks. 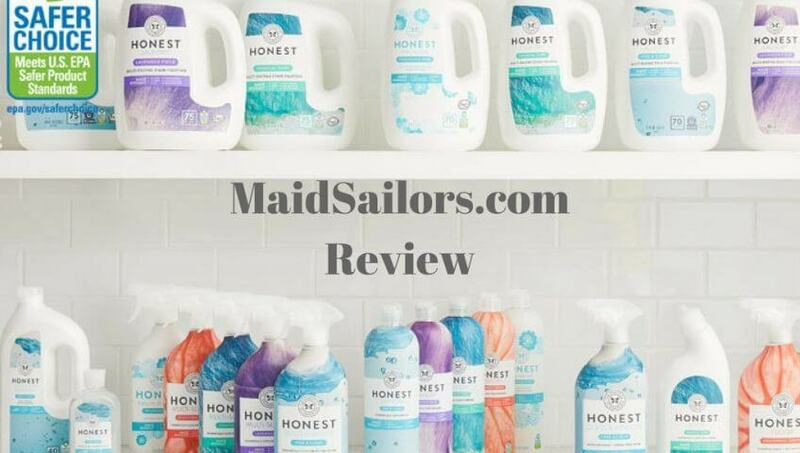 You may have heard the buzz about The Honest Company. But if you’re unfamiliar with it, I want to give you a little bit of an overview. The Honest Company was created by Jessica Alba. When I hear most people talk about honest co. I hear them talk about baby products. Initially, that’s all they were about. Now, they do still have baby products but they are so much more than that. They have a vitamin line, a beauty line, and yes even a cleaning line! 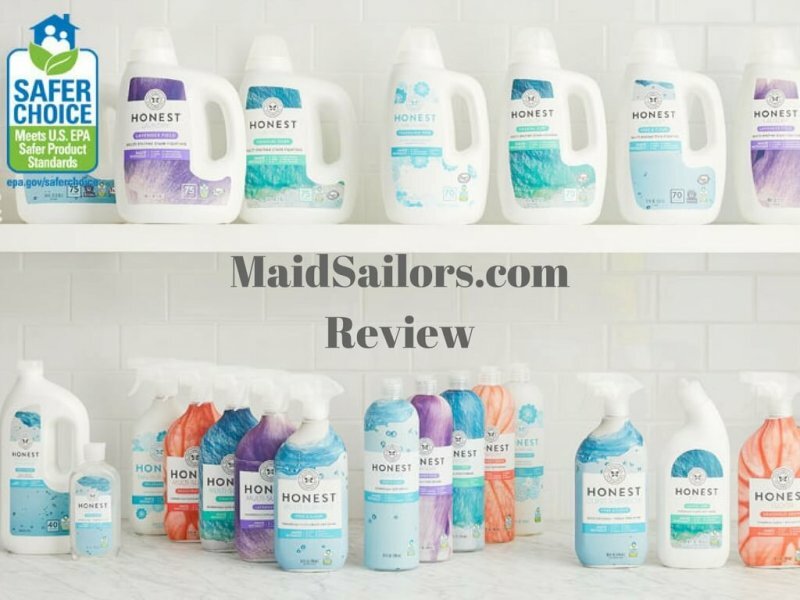 When you expand your knowledge in cleaning with The Honest Company products, you will be introduced to a whole new kind of clean. At least, I certainly was. My whole lifestyle is built around being the best possible version of myself that I can be. And that means, keeping a clean house with products that won’t harm me or my family. All of these products are naturally made, free from harsh chemicals, and they even smell amazing. It’s hard to find products that will do all three of those things and still work to fight off bacteria. After tweaking their products to get them just right Good Housekeeping finally rated them five stars. And I have to say, I couldn’t agree more. I want you to think about a few things for me. 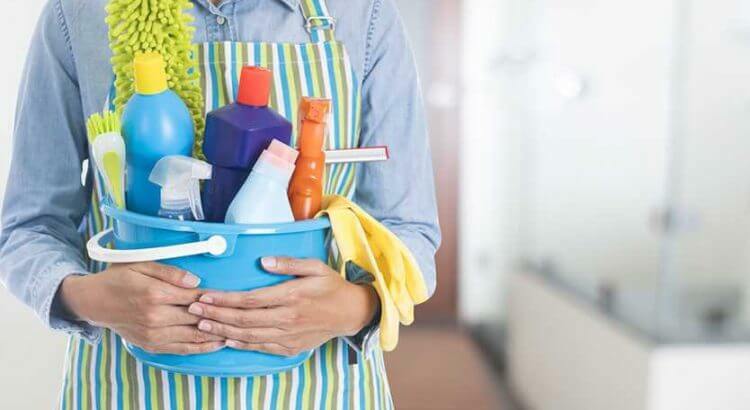 What kind of cleaning products are you using in your home? Are they safe? Do you even know what’s in them? 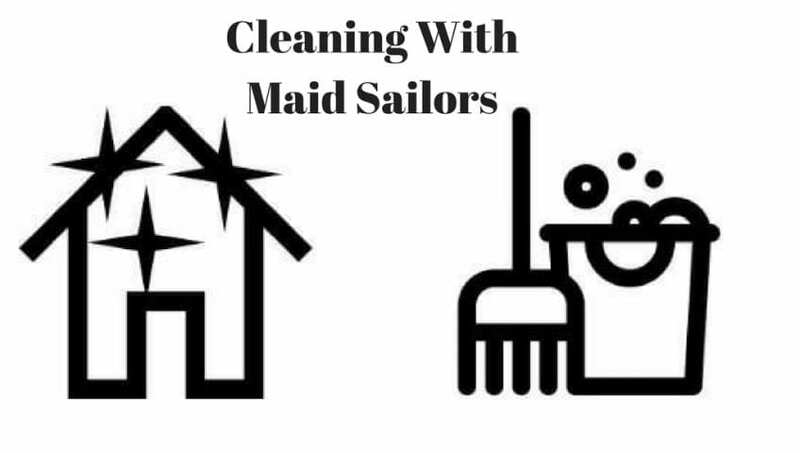 Or you hire a cleaning service, like Maidsailors, what kind of products do you want them to bring into your home? The truth of the matter is, the cleaning products that you have under your sink may actually be doing you more harm than good. Go ahead, read the label. See what’s inside and how it’s affecting you and your family. If you’re willing and wanting to make a change to ensure that your family is safe and healthy, try using The Honest Company. As a cleaner myself, these are the products I bring into my client’s homes and they love them.